Building garden inspired tablescapes for private small gatherings. 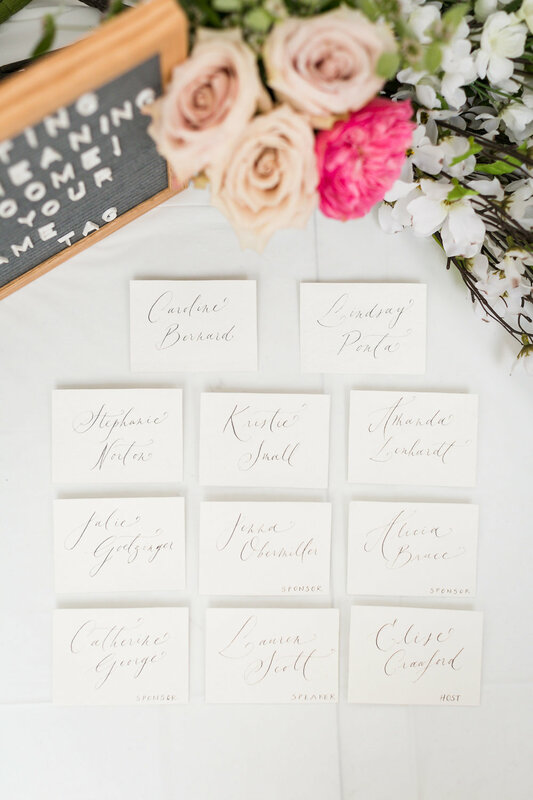 Styling for celebrations such as baby showers, bridal showers, etc. Editorial work such as fashion shoots and product styling. Sets and displays (an example would be for retail spaces). Art-related collaborations such as performance art, art installations, interactive art, really anything that involves flowers, foliage, and plants. The possibilities are limitless. Flower and foliage backdrops or hangings. Typically requested by fashion bloggers or owners of retails spaces. Can work with fresh and faux materials. Please contact me with details about the project so we can work out cost! Pricing depends on the complexity of the scope of work. This could also be a partnership relationship. Let's talk and collaborate! Tablescape and installation for private event with Denada Design. Workshops can include community workshops, private workshops, and one-on-one workshops. 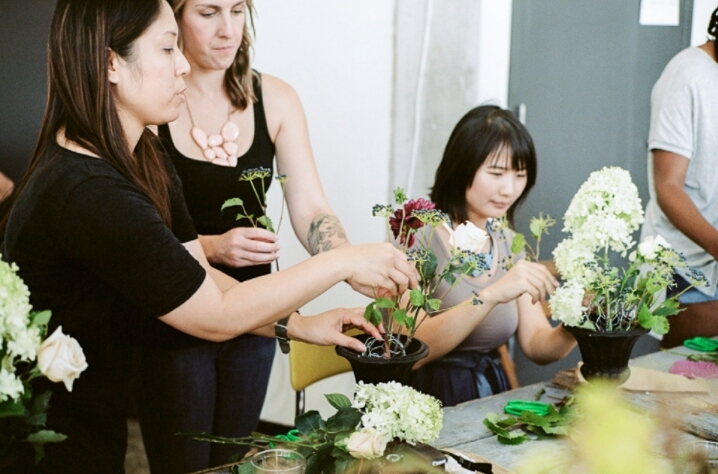 More information about workshops which can include private workshops (example would be workshop for a bridal shower party) can be found in the Workshops section here. Pricing depends on the complexity of the scope of work, work site, materials, labor. Services range from basic consultation and advisement to conceptualization, art direction, and installation. Pricing can be anywhere from $600 to $6,000 and up. Special project with Donovan Gerald. Styled Shoots particularly wedding styled shoots are typically requested by wedding event planners and wedding photographers. Because the product provided is perishable and cannot be returned and in some cases reused, a very limited amount, if any, of these requests are accepted each year. However please do not hesitate to reach out and ask. Please contact me and provide details for your project. Floral arrangement in a vessel. Prices depend on size and type of flowers. Typically $85 and up plus sales tax and delivery fee. Need weekly florals for your corporate office? Contact me for more details. A weekly subscription may be a good solution! Statement Floral Arrangement $250. Large, statement floral arrangement. Large Arrangement $200. Lush, garden-style centerpiece. Great for front table or table centerpieces. Medium Arrangement $125. Lush, garden-style centerpiece. Great for table centerpieces. Small Arrangement $85. Lush, garden-style centerpiece. Great for side tables, desk, or table centerpieces. Guess what? The flowers at your next corporate event don't need to look boring! Corporate clients get access to shop full rental inventory, custom installation design, and completely custom designs for their events. Contact me for more details.